Time spent on an island will always be a special moment, a source of rare and precious memories. 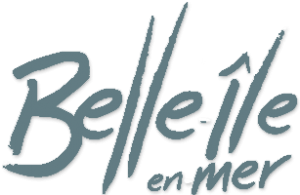 On Belle-Ile-en-mer we have created the ideal place to discover the island with your friends and family, a place that can host all of you at ease and throughout the seasons. Be our guests in Les Grandes Maisons de Chubiguer. We want those houses to be the cradle of inspiring stories all year long. That is the way we are approaching rental. It means sharing some of our lifestyle, with decorative objects found here and there, books and board games we like. Our property encompasses two houses of two floors each and 7 high quality bedrooms that can welcome 3 to 5 families. Houses are surrounded by a large enclosed garden where a heated pool is at your disposal. A large kitchen, a fireplace, a closed garage, everything is there to make your stay at Belle-Ile-en-mer a wonderful experience.